I love this time of year...so ready for fall...warm days, cool and crisp nights! 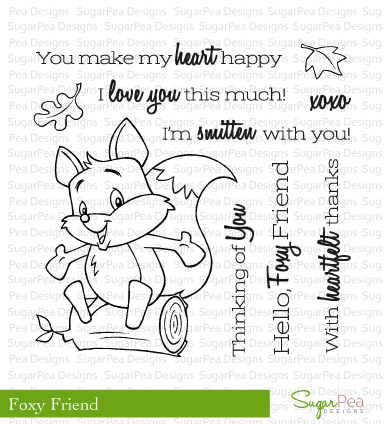 This cutie fox from the Foxy Friend stamp set is just perfect to celebrate the beginning of fall! LOVE him! 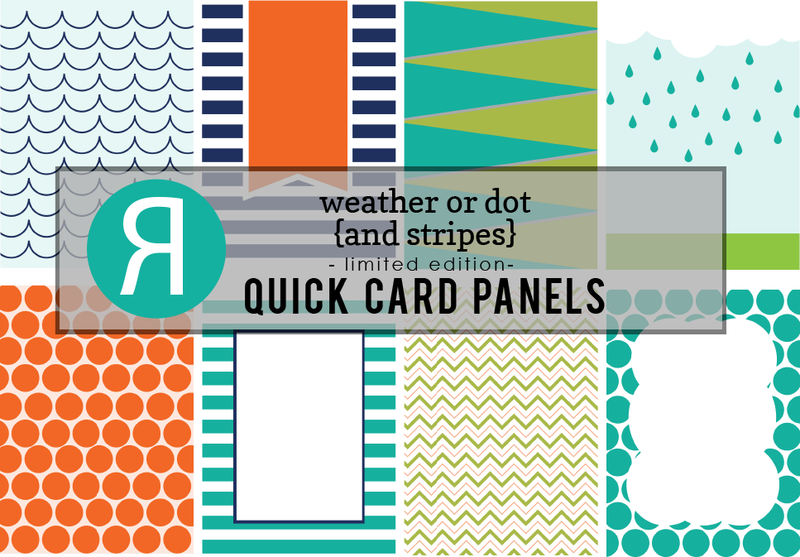 I say this all the time, I know...that SugarPea Designs make me giddy! Why?! There is a sweetness about our stamps that brings back childhood memories and leaves me reminiscing over my own and that of my children when they were small. 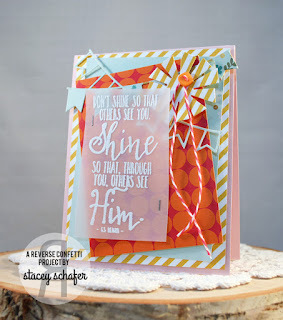 My heart skips a beat when I stamp with my SPD stamps...no joke! 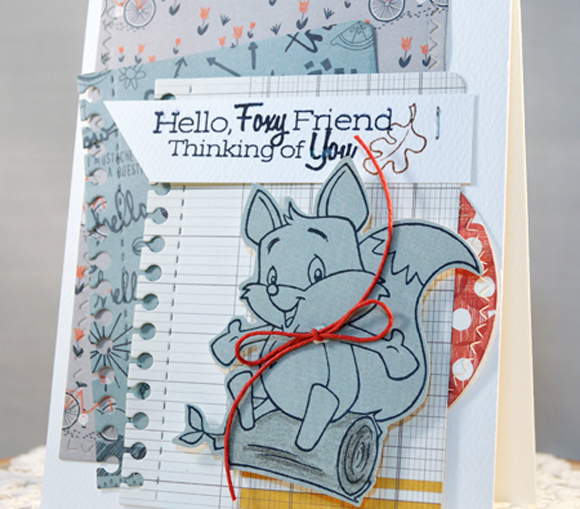 I stamped Mr. Fox from Foxy Friend over some faded blue paper, shaded in the log with pencil, and fussy cut him and added a little red twine bow to his collar! I stacked a few layers of some fabulous SugarCuts together to serve as a frame. Then, the sentiments and leaf from Foxy Friend were stamped and stapled as a banner over the panel to finish off the card! 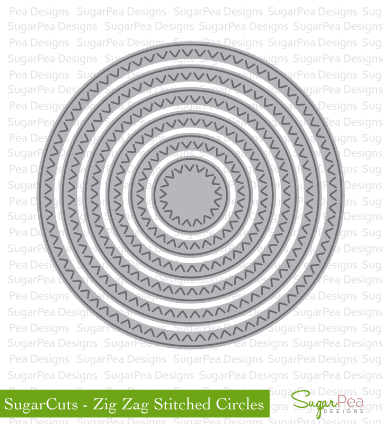 There are some other SugarCuts - Zig Zag Stitched Circles, Zig Zag Stitched Rectangles, and Notebook Journal Card give my card interest, texture, and dimension....LOVE these must-have SugarCuts! Back to school!!! That's right! This teacher and her kiddos are all back to school! We have our first week checked off without a hitch! It was an exhausting week, but a GOOD week! I know how much work goes in to the beginning of the school year, so I created this card for Hannah's teacher! Hope she likes it!!! 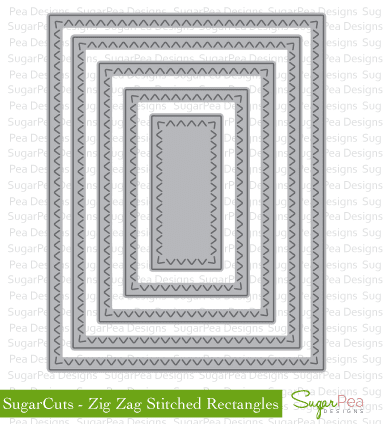 Here are the SugarPea Designs goodies I used on my card today! 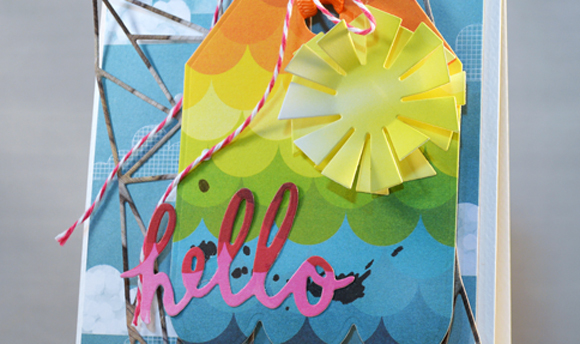 I layered up some fun primary colored patterned papers and cut one from the AWESOME SugarCuts-Notebook Journal Card! 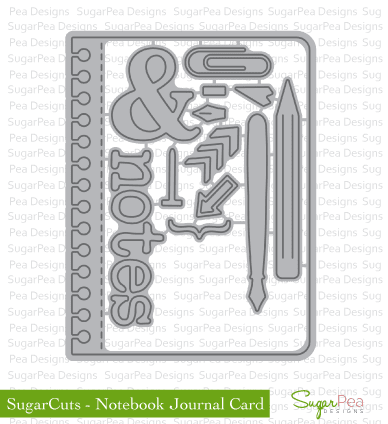 After stamping the sentiment from Teacher's Pet along with a collage of sorts of images, I trimmed as a banner and stapled it over the notebook panel. 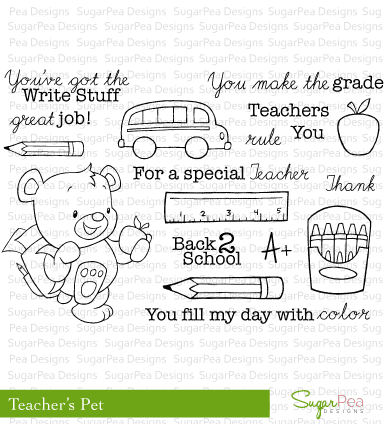 That sweet bear from Teacher's Pet is really the epitome of sweetness, don't you think?! 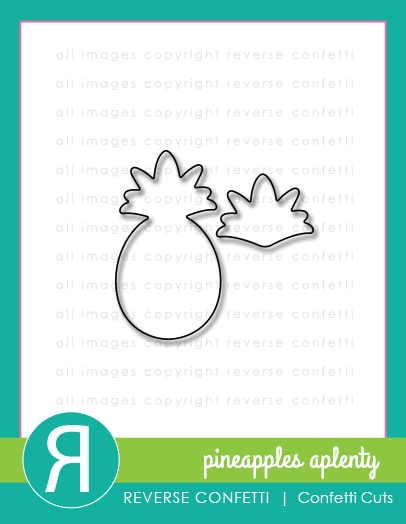 I hope you're inspired to create some SWEETNESS today, too! 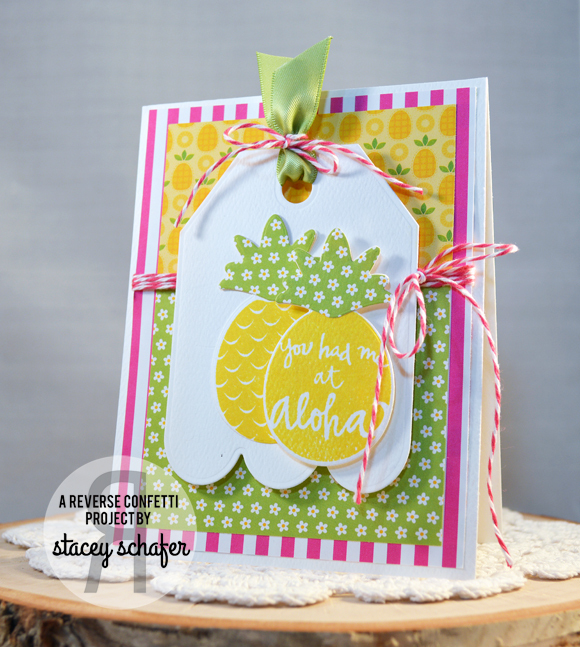 It has been a whirlwind of the past few weeks and I have MISSED my confetti time! I made this card for my sister who I have been cherishing lately! Our mother has been recovering from some serious health issues and "us girls" have been the worriers, caretakers, prayer warriors, etc.! The good news is that Mom's health is improving slowly! PTL!!! 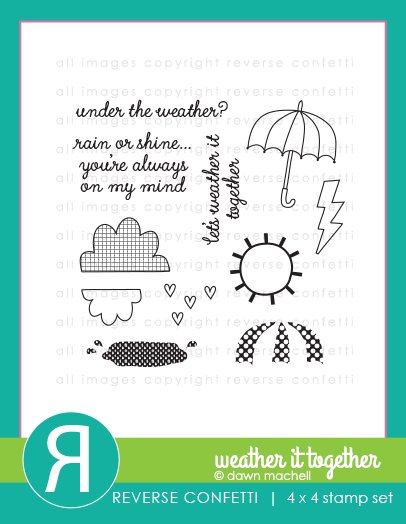 Anyhow, I wanted to make my sister a special card to let her know I'm here and we're in it together! 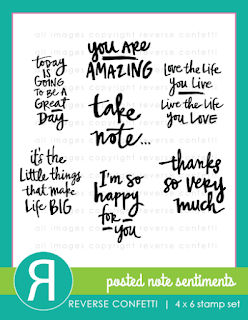 Here are some Reverse Confetti goodies that I used on my card today! 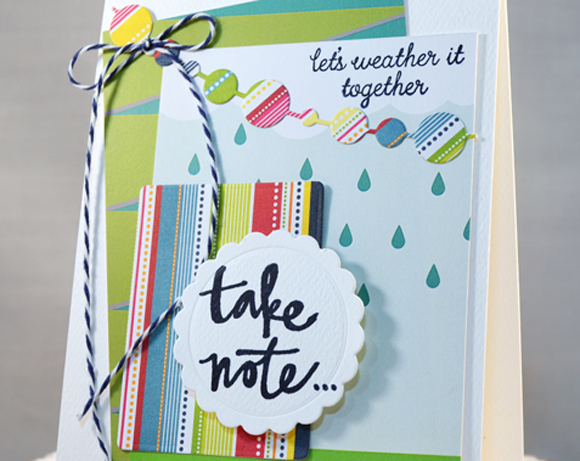 I layered two of the Quick Card Panels - Weather or Dot (and Stripes), stamped a sentiment from Weather It Together over the rain printed one and added a Circle Garland Confetti Cuts embellished with a twine bow. The sentiment tag was created using Posted Note Sentiments on a Circles 'n Scallops Confetti Cuts and propped up over the Posted Note Confetti Cuts. 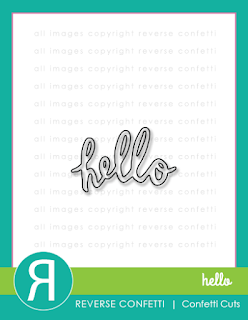 I love the simple and happy feel that this card has! Hope you like it, too, and it leaves you inspired to create a special card for someone! Reverse Confetti - HELLO SUMMER SALE! Hey there, Reverse Confetti friends! How awesome is this?! 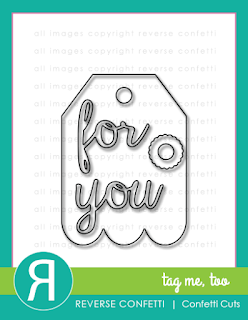 A SUMMER SALE just for you!!! 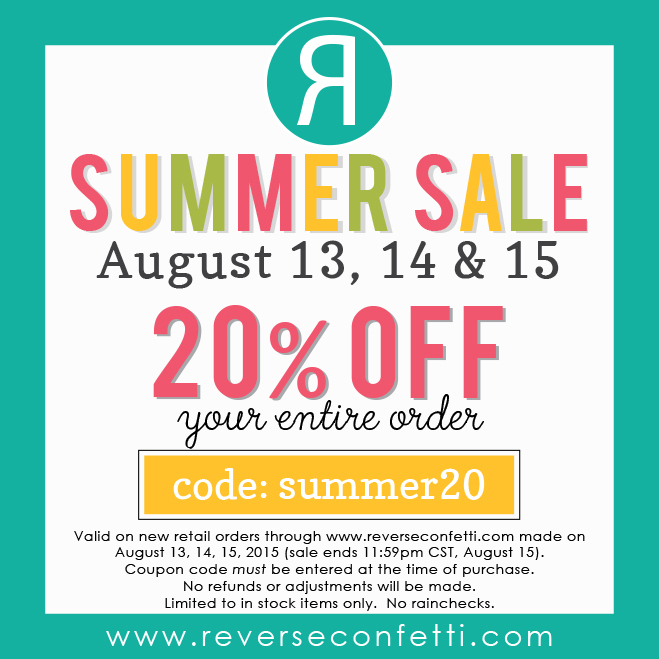 TIME TO STOCK UP on ALL of the REVERSE CONFETTI goodies you've had your eye on! 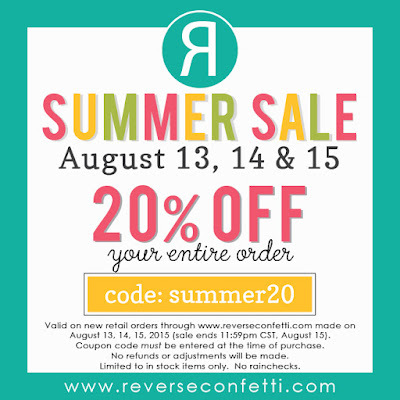 Here are some of my FAVORITE Reverse Confetti goodies that I used in celebration of our SUMMER SALE!!! I just bet what you LOVE about Reverse Confetti is the same thing I LOVE about it!!! 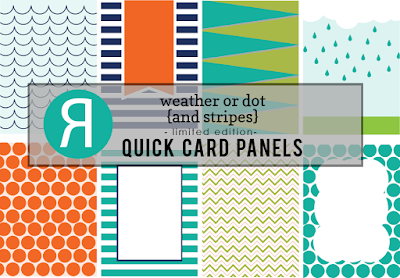 Mix and match to your hearts content! 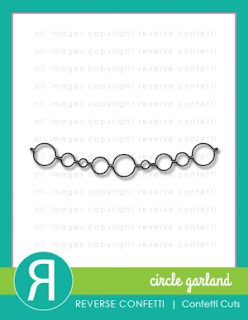 You know when you add 'Fetti to your stash, it will all coordinate for quick and DARLING projects in a SNAP!!! 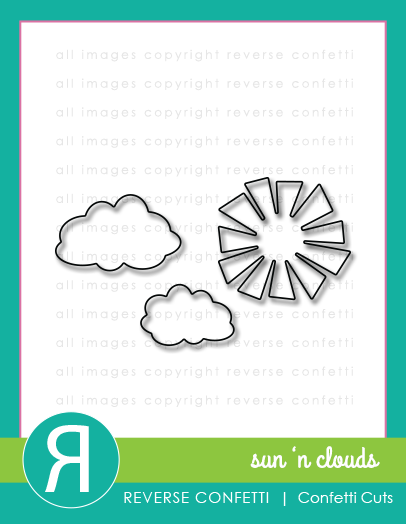 I die cut several Confetti Cuts (Geometric Background, Tag Me Too, Sun 'n Clouds and Hello) and layered them all up to create a FUN summer scene! There's only one cool stamp on my card...do you see it?! 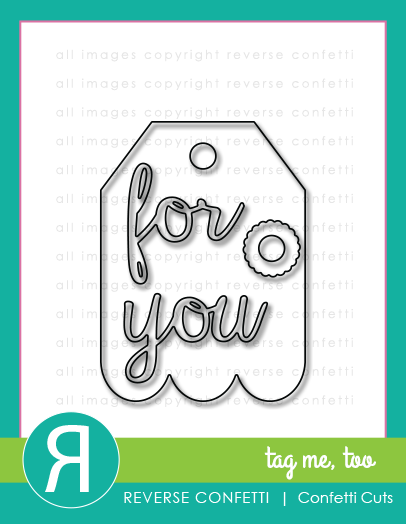 It's the splatter image from Color Me Happy over the bottom portion of the Tag Me Too Confetti Cuts!!! 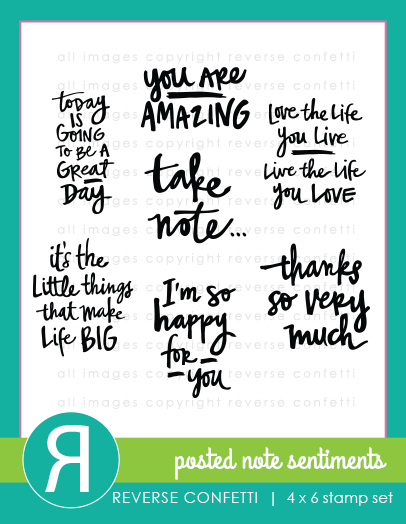 Head on over to the Reverse Confetti Blog to see what all the other gals have up their sleeves for today's BIG SALE!!! Personally, I LOVE SUMMER for SO many reasons! Number one reason...home with my kids!!! Yep, we're back to school next week and I'm in total denial! Have a good (what's left of) summer! It's time for the new August Sketch For You To Try! 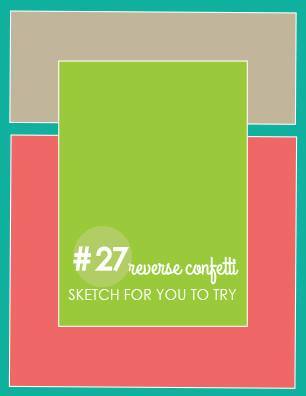 Here are the REVERSE CONFETTI goodies that I used on today's card! 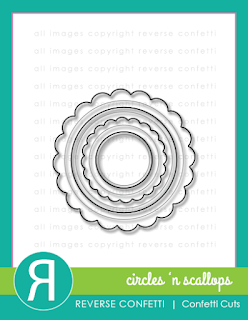 I'm giving away one of my all-time favorite Reverse Confetti stamp sets! 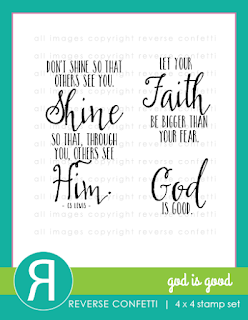 Leave a comment sharing a testimony of faith in your life and have a chance at WINNING this beautiful stamp set, God Is Good! 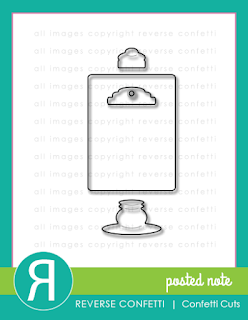 The winner of the stamp set will be randomly selected on Wednesday, August 5th at midnight central. Recently, my faith has been tested. My mother has had some ongoing health issues that are difficult to manage. I have been struggling with worry about her and feeling like I am not doing enough to help her. She said to me just yesterday..."It's ok, Stacey. God has me in the palm of his hand." 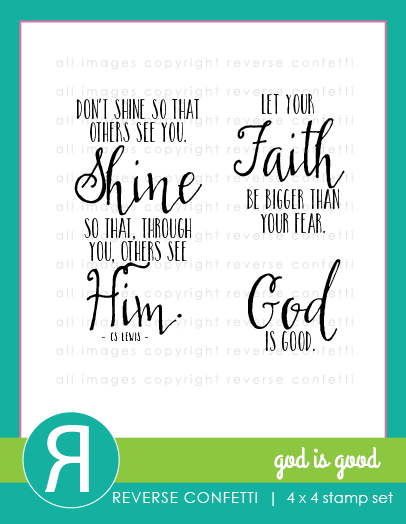 My mother is a prayer and faith warrior, through and through...and she teaches me this, even now. 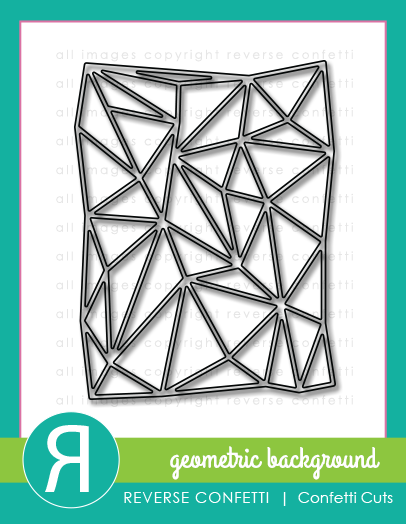 Here's an up close look at my SFYTT card! 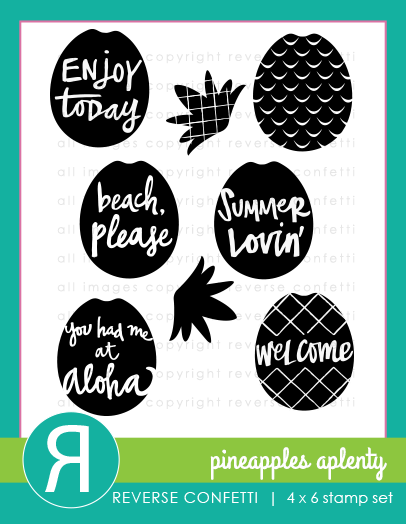 I used some fun tropical patterns of paper to create a summer fun project...summer is flying by WAY too fast for this teacher mom! 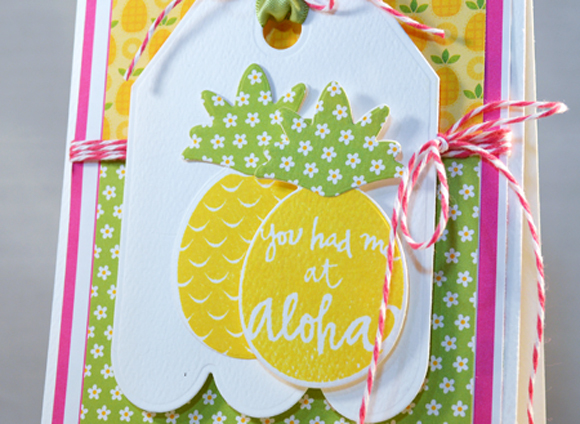 After stamping the pineapples from Pineapples Aplenty and die-cutting them from the coordinating Pineapples Aplenty Confetti Cuts, I layered them over a Tag Me, Too Confetti Cuts tag tied with some ribbon and twine. 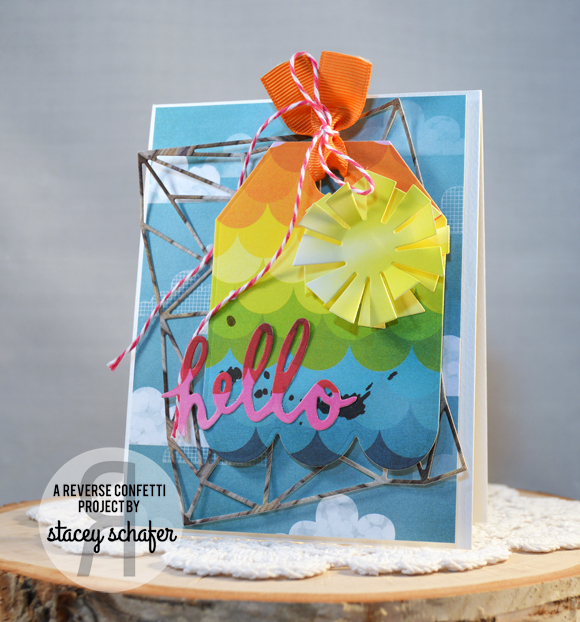 Head on over to the Reverse Confetti Blog to see what the other gals have created for today! There just might be some other GIVEAWAYS, too! Take a look at what else I've been up to!